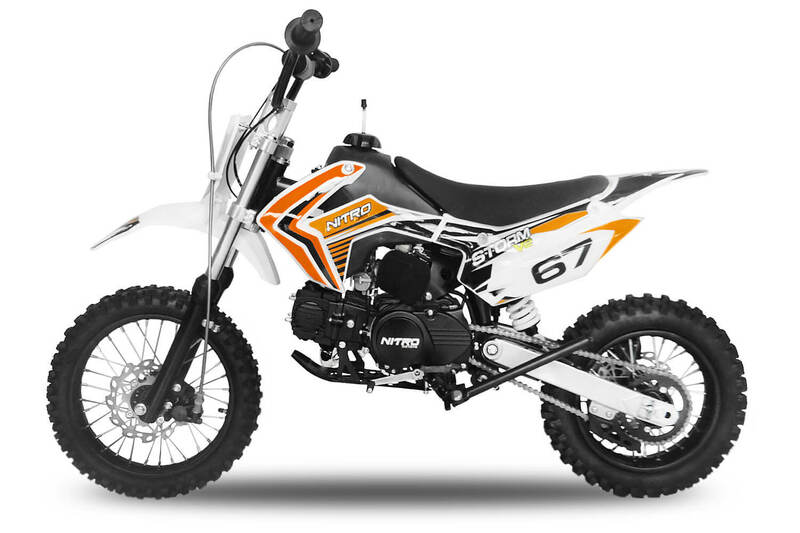 Storm 110cc mini dirt bike available only from MiniBikes.Store. Perfect starting bike for kids age from 6 years old up to 12 years old. Easy to maintain and hassle free 4 stroke engine, automatic gearbox and electric start make Storm 110cc dirt bike perfect first bike.